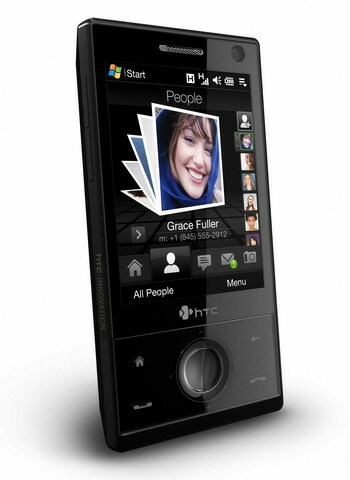 Many felt that HTC was supposed to roll out a milestone device towards mid 2008 – the thing is, they have already established the trend for releasing the hottest offerings in the middle of the year, just like it was the case with the HTC Touch (introduced in mid 2007). I think most of those who are into the Windows Mobile market have been keeping a close eye on all announcements and reports (after the Diamond got outted) and have already made up their minds about it. 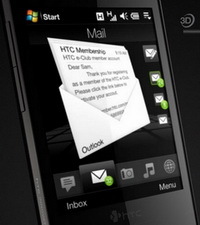 For everyone else we have this write-up that will get you familiarized with the HTC Touch Diamond and why it is such a revelation for the Windows Mobile market. It is a bit too early to judge the Diamond’s materials and build quality – the samples that are out there these days are prototypes and by the time it hits the stores some details and traits may well change. But as far as its design and looks go, it is pretty safe to make first conclusions already today. One of the most important things about the Diamond is that being the size of the HTC Touch it packs in a completely overhauled hardware department. In fact, at 100x56x14 and 120g the HTC Touch is a tad bulkier than the HTC Touch Diamond (102x51x11.3mm) and even somewhat heavier (the Diamond weighs only 110 grams). But due to its rectangular shape it won't feel more pocketable than the HTC Touch; but all in all, its tiny dimensions and weight should negate its sharp lines. 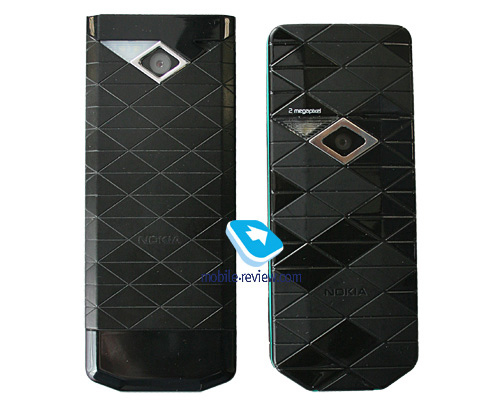 In terms of looks the Diamond takes a lot of cues from the Nokia Prism and its convex surface. 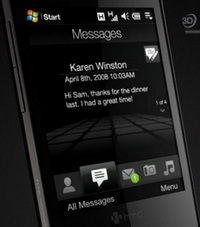 While this may be merely a coincidence, the HTC Touch Diamond definitely gains from design. The idea of adopting some of the Nokia Prism’s traits is remarkable in that it makes a nice change from the cliched WM-powered communicator looks. 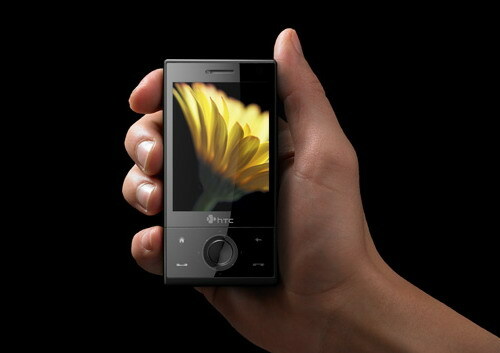 Although, starting from the Touch Diamond, the very term “communicator” feels somewhat out of place – the fact is, this device is positioned as a feature phone, a smartphone at best, and it looks like one. That’s the point where we should stop, at least for now. 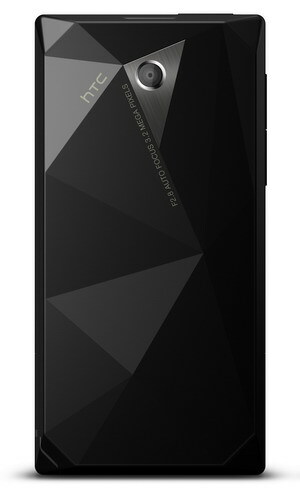 The bottom line is this: the Diamond’s design is quite enticing and in many ways versatile thanks to HTC’s trademark black color scheme and no-nonsense lines. The convex form a la the Nokia Prism may put some off, but these people won’t make all the difference for the Diamond’s sales. 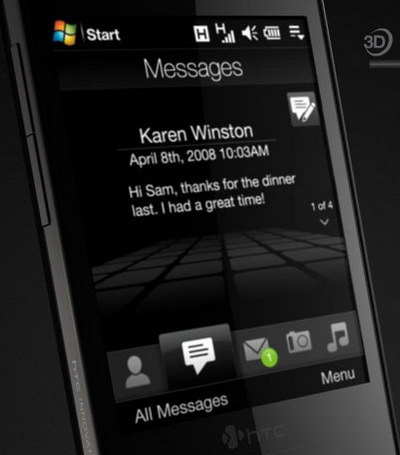 Savvy people will readily claim that the Touch FLO, be it 3D or 2D, is nothing but an eye-candy shell supposed to cover up the standard sophisticated Windows Mobile interface that’s not very friendly to the user, especially if he or she is a novice. In some way it’s true, but a lot depends on how you view the device and what you expect from it. 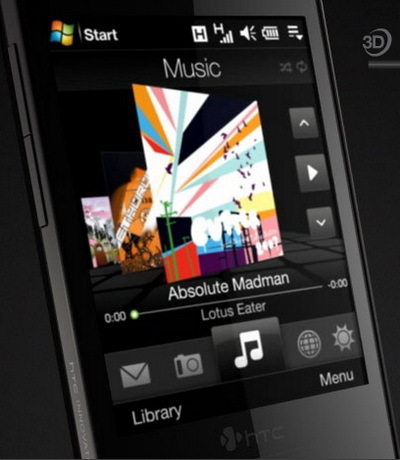 Those who have spent plenty of time with Windows Mobile based devices won’t go crazy about the Touch FLO 3D, for it is just a software shell, although utterly elegant and snazzy. These professionals are very likely to replace it with some apps of their own, but we will expand on this in our review, and for now let’s see what newbies will find in the Touch FLO 3D. HTC has been into the Touch FLO ever since the original HTC Touch – by an large, this term stands for a set of software enhancements that make the device more straightforward and some of its features and abilities more intuitive to use. 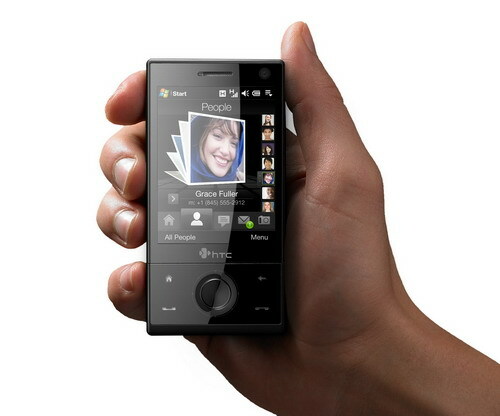 Three models in the Touch series came armed with the HTC Home screen and the three-facet interface. 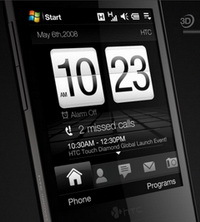 But the HTC Touch Diamond utilizes a new version of this technology - TouchFLO 3D. With much experience with it, it’s hard to tell how convenient it is, but one thing is for sure – HTC has brought about an interface that’s heavy on the WOW-effect and can get a lot of users on the hook at first sight. 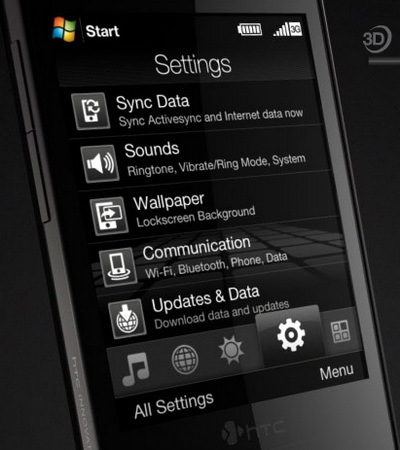 Although the presence of the TouchFLO 3D can’t make the standard Windows Mobile interface retire completely, it has all the basics covered. This means that all users who are in the market for a phone that can make calls, send texts and check mail (and do some browsing), will be more than satisfied with what the TouchFLO 3D has to offer. 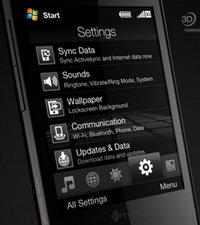 Probably, this section should start off with the official specs of HTC Touch Diamond. For starters, some words for those market junkies out there – perhaps, the HTC Touch Diamond’s specs are nothing new for you, as they are almost completely identical to those of the Sony Ericsson XPERIA X1. The thing is, they share the same platform, and that’s how come they are so similar, but that’s the reason why the XPERIA X1 adopts only a 3.2 Mpix camera, which isn’t Sony Ericsson’s credo these days. The new platform has allowed the maker to utilize the video accelerator that’s used at least for the Diamond’s default applications like the TouchFLO 3D interface. Also going for the Diamond is its VGA display, despite it being so pocketable (previously such screens were only available with the HTC Universal platform and HTC Advantage). Its camera, however, shouldn’t be too different from what we saw in the HTC Touch Cruise and HTC TyTN II. 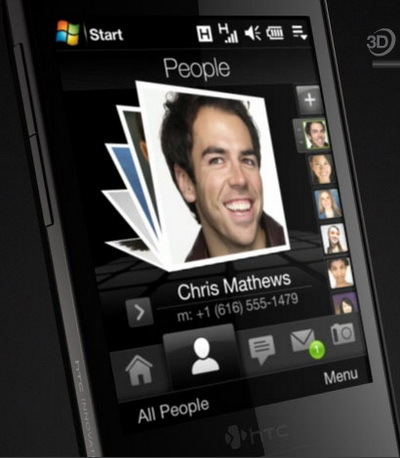 While it is totally dated as far as the mobile phone market goes, it is still the man to beat in the Windows Mobile segment. As of today it’s unclear how much RAM the Diamond carries onboard – different sources put it differently, even HTC’s official pages have it fro 128 Mb to 192 Mb. Current prototype pack in 128 Mb indeed, however we can’t rule out the possibility of the Diamond’s hardware supporting 192 Mb too. Anyway, regardless of how much RAM it actually comes equipped with, no user will feel a dearth of free memory with this phone. 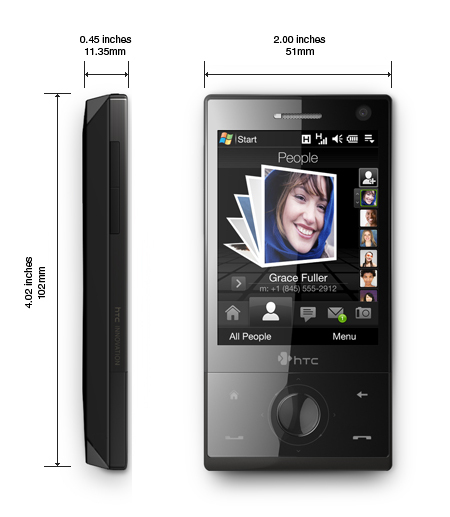 The HTC Diamond comes packaged with 256 Mb of NAND flash and four extra gigabytes of storage. Also, it’s not for sure that several months into sales HTC won’t launch 8 and 16 Gb editions of the Diamond, which will be a reasonable thing to do. Plus, they might go for a storage-less variant that will boast a standard microSD memory card slot instead (as you remember, the Diamond’s current iteration has none). As far as wireless connectivity goes, the Diamond has no bells and whistles, but that’s not something we’d expect it to put up – Bluetooth and Wi-Fi are already more than enough for most users. The situation with the Diamond’s navigation abilities is somewhat vague. While it comes installed with a GPS chipset and support for A-GPS, it will ship only with Google Maps for navigation in Russia. I suppose there is no need to add that it’s not a full-fledged navigation app. Of course, Google Maps can calculate routes too, but it will barely do if you are planning to use the Diamond as your pocket navigation system. We’ll expand on its navigation department some time later, but for now let us note that navigation here is more of an option that was tacked on as a tribute to the ongoing trend. The lack of navigation-savvy software in the box is also very easy to explain, especially in Russian and CIS countries, where HTC’s navigation-centric flagship, the Touch Cruise, has just launched and is gathering pace. Almost all extras found in the HTC Touch Diamond have been employed by the maker one way or another in previous solutions; however this is the first device where they all come together. 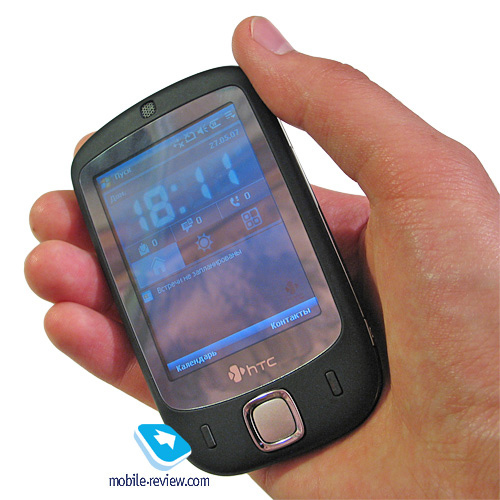 That is, the G-sensor technology that determines the communicator’s current position made its debut with the HTC Advantage, though under a different name – back then they were giving it a go; then the HTC Touch Dual came along and put it to better use, for instance it allowed muting a call by putting the device face down. Also the G-sensor will be used for the needs of the TouchFLO 3D. 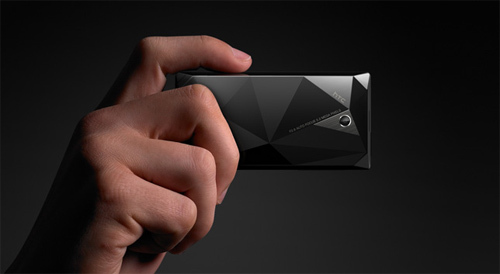 That’s about time we wound up our story on the HTC Touch Diamond’s hardware. 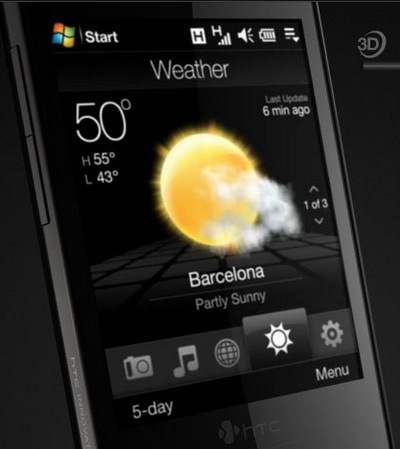 Back when the HTC Touch saw release, we were very careful with our forecasts, as we weren’t sure whether the mass-market would deem it overly complicated regardless of all UI enhancements. But as its sales suggests, the HTC Touch has garnered quite formidable following, as far as HTC’s history is concerned, it was one of their wildest successes, ushering in the series of touchphones along the way. Truth be told, it’s so much easier to look into the future of the HTC Diamond – we can hardly think of some factors that can hamper it and mar its performance on the market. HTC has absorbed a lot of solutions delivered by other makers, and the best thing is that they are using them in the proportions they see fit. Right now there is an interesting situation unfolding around the Sony Ericsson XPERIA X1. While SE is experiencing some difficulties with software for this device and cancelling all previously scheduled release dates, HTC rolls out its latest and greatest Diamond, sporting a pretty much identical feature set in the sense of both hardware and software (while the TouchFLO 3D and the X1’s UI aren’t really twins, they seem somewhat resembling). Moreover, the Diamond goes up against not only the to-be-released Sony Ericsson XPERIA X1, but also the iPhone, offering a similar interface. 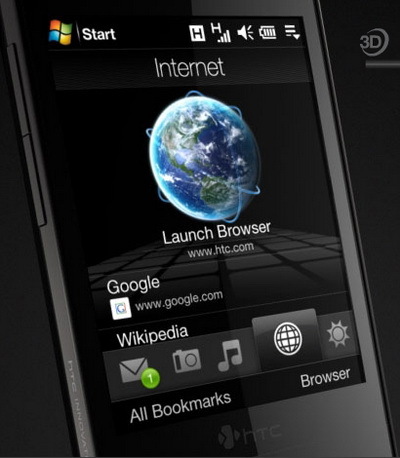 While the iPhone went for style over substance, the HTC Touch Diamond’s UI is merely a tool making some features more straightforward, and inside Windows Mobile does the job in a convenient fashion with third-party applications and rich default functionality. It’s safe to say that HTC has once again managed to shake up the market big time. And while they were on the modest side last year, this time around the HTC Touch Diamond is not only a revolutionary product, but also the proving ground for the maker’s new platform, which it will be running with in the near future. Our first impressions of the HTC Touch Diamond are to come shortly. Stay tuned for more!